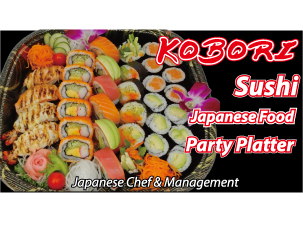 Have	Kobori Japanese Restaurant	delivered to you, anywhere on Koh Samui! For only 100 baht! PARTY PLATTER is the most popular menu for our take away customers. Japanese executive chef and management. We have 2 restaurants in Koh Samui, Maenam Beach and Nathon. 7 types of Japanese food. Takoyaki, Chicken Karaage, Shrimp Fry, Pork Hamburg, Gyoza(Dumplings), French Fries, Chicken Filet Fry. 41pieces Salmon Nigiri 4pcs, Tuna nigiri 4pcs, Eel Nigiri 4pcs, Sweet Egg Nigiri 4pcs, Prawn Nigiri 4pcs, Local Fish Nigiri 4pcs, Tobiko Ship 2pcs, Salmon Roe ship 2pcs, Spicy Tuna Ship 2pcs, Seaweed Ship 2pcs, Cucumber Small Roll 3pcs, Salmon Small Roll 3pcs, Tuna Small Roll 3pcs. 25 pieces Cucumber Small Roll 6pcs, Tofu(Beancurd) Fry Small Roll 6pcs, Avocado Small Roll 6pcs, Edamame(Steamed Green beans) 1, Tofu Deep Fry Roll 3pcs, Tofu Deep Fry Nigiri 2pcs, Seaweed Ship 2pcs. 2 pieces of Spicy Grilled Salmon Mayo Sushi. Salmon Roe, Salmon, Tuna, Scallops, Prawn, Egg, and Local fishes. Please choose the topping for your curry. Sliced pork, Sliced Angus Beef, Tonkatsu(Pork Cutlet), Pork Hamburg, Wagyu Beef Hamburg, Fish Fillet Fry, Prawn Fry, Mushroom & Corn. Boiled green soybeans is Japanese common finger food. Steamed Rice always goes well with Japanese food. Miso soup always goes well with Japanese food. 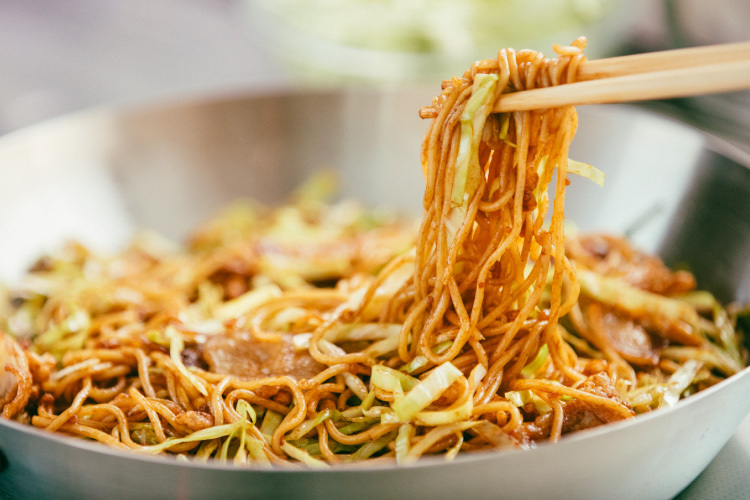 okonomiyaki is a Japanese savory pancake containing a variety of ingredients. Takoyaki is a popular Japanese savory snack in the shape of little round balls. It contains pieces of octopus served with Takoyaki sauce and Japanese mayo. Karaage is a technique for preparing several kinds of meat. The process involves lightly coating pieces of chicken with flour/starch and seasoning. The coated chicken is then deep fried. Japanese fried chicken may be eaten as an appetizer or a main dish. Tonkatsu is thick pork cutlets breaded with flour, egg, and breadcrumbs and then deep-fried in oil. 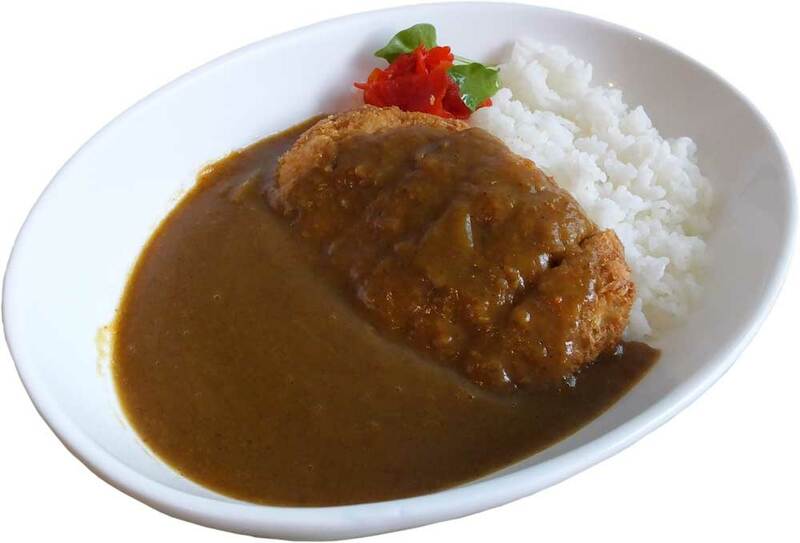 With Tonkatsu, the cutlets are covered with flour, egg, and then breadcrumbs for a crispy texture when fried. 720ml Junmai Sake, 15%alc, This fresh and clean summer sake boasts a luscious nose of berry and pear, giving way to a melon-skin bitterness on the short finish. 720ml Junmai Ginjyo Sake, Well-structured and elegant. A burst of white blossoms leading into a silky texture with whispers of rice and vanilla, ending on a pleasingly astringent note. 720ml Junmai Dai Ginjo Sake, Fresh, lacy notes of honeydew melon and peach skin (classic daiginjo fruitness), silky, textured, buoyantly balanced feel of tropical fruit, finishing with an emphatic dryness.